Santiago Fernández is one of the leading Spanish-language liturgical composers in the Church today. With more than 30 years of parish experience, he travels nationally and internationally offering concerts and speaking on Hispanic ministry. A talented musician and speaker, Santiago is actively involved in regional and national Hispanic ministry. He is an excellent choice for workshops on music ministry and concerts. He has also participated at various events of the Archdiocese of Detroit as guest conductor, cantor and consultant. 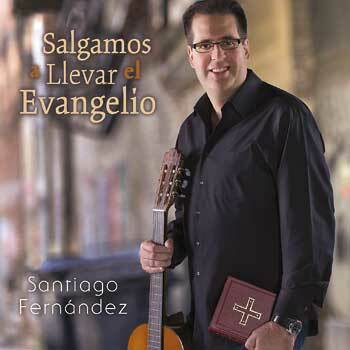 His fourth collection with OCP, Santiago Fernandez's Salgamos a Llevar el Evangelio boasts eight songs to reinvigorate liturgical celebrations. Inspired to create music for the assembly, Santiago endeavored to compose songs that were easy to learn and sing, songs that allow the faithful to fully express their faith. Contemporary in style, these songs are ideal for Mass as well as other ritual moments, such as eucharistic adoration. With a delightful mix of musical styles, including bolero, huapango, rock and ballad, this album features something for every musical taste. Instrumentation combines typical Latin instruments with electric guitars, mariachi-style trumpet, piano and more. Through simple melodies and powerful lyrics, themes of praise, hope, evangelization, trust and more are brought to life. The uptempo title track was inspired by Pope Francis' call for evangelization in Evangelii Gaudium. It was arranged in the cumbia style of South America and even features instruments of the pope's native Argentina: the charango (a small ten string lute) and zampoña (a type of pan flute). The moving lyrics of "Con Tu Gracia" (By your grace) invite us to recommit our lives to the Lord and trust him. "Den Gracias al Señor" (Give thanks to the Lord) picks up the tempo in the Venezuelan joropo style with hints of the huapango style from Mexico, a lively song with a truly authentic sound. You can see for yourself by listening to the sound sample in the songs tab above! 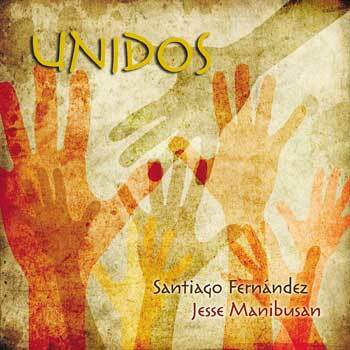 Sharing a burning desire to bring people together through the power of music and worship, Santiago Fernández and Jesse Manibusan team up to deliver seven contemporary bilingual songs to inspire faith—both inside and outside of the liturgy. Commissioned for the official theme song of the 2012 Religious Education Congress, "Voice Infusing Life/Voz Que Infunde Vida" features these two incredible artists at their best. Powerful vocals and soul-stirring lyrics combine to bear testimony that a simple song can truly transform lives. Stylings of Spanish rhumba and bolero to traditional ballads and Latin rock create a fusion of sound and culture that will energize your music ministry. Lively and playful, the title track kicks things off with contagious rhythms and amazing guitar work. "Para Amar Como Tú" (To Love Like You) serves as a passionate call to discipleship, while "Open My Eyes/Abre Mis Ojos" provides a beautifully reflective close to the album. Do you want to unite your English- and Spanish-speaking parishioners in song? Need a playlist for personal prayer? From fresh bilingual versions of titles you know by heart to the official theme song of the 2012 Religious Education Congress, Unidos offers a variety of music to lift hearts and voices in praise of our God. This is the guitar songbook for Salgamos a Llevar el Evangelio. 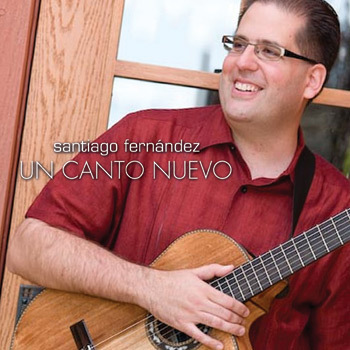 Find the guitar parts for Un Canto Nuevo which will help your ensemble to play the contemporary Spanish music from talented Santiago Fernández. Stylings from Spanish rhumba and bolero to traditional ballads and Latin rock create a fusion of sound and culture that will energize your music ministry. Lively and playful, the title track kicks things off with contagious rhythms and amazing guitar work. "Para Amar Como Tú" (To Love Like You) serves as a passionate call to discipleship, while "Open My Eyes/Abre Mis Ojos" provides a beautifully reflective close to the album. Do you want to unite your English- and Spanish-speaking parishioners in song? This new guitar songbook now makes it possible for bilingual communities to play and sing these songs that will lift hearts in praise to our God. Un Canto Nuevo (A New Song) is a delicious combination of danceable Latin rhythms and strong Spanish lyrics with accessible, singable melodies and refrains. Find the 12 songs in this digital playlist. Santiago Fernández has been active in parish ministry for more than 30 years. He holds a bachelor's degree in music from Wayne State University in Detroit and is certified in both Pastoral Ministry and Liturgical Ministry, locally by the Archdiocese of Detroit and nationally by the USCCB's Commission on Certification and Accreditation. A member of the National Advisory Council to the USCCB from 2000 to 2004 and Liturgy & Prayer coordinator for the First National Encuentro for Hispanic Youth and Young Adult Ministry 2006, Santiago is currently music director for the National Catholic Council for Hispanic Ministry (NCCHM). 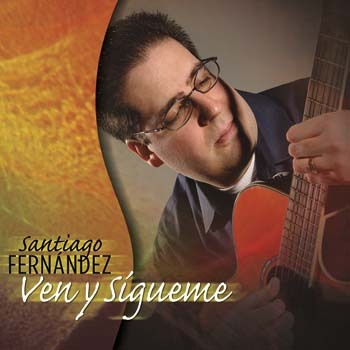 Through OCP, Santiago has released three solo albums: Ven y Sígueme in 2006, Un Canto Nuevo in 2010 and Salgamos a Llevar el Evangelio in 2015. He has also collaborated with other talented OCP artists including Pedro Rubalcava (Everyone’s Invited) and Jesse Manibusan on the 2012 album Unidos. Dozens of his Spanish songs have also been included in various OCP collections, including, most recently, Bendito, Bendito, a compilation album with songs for adoration and most recently, Entre Tus Manos, a healing and comfort collection. A talented musician and speaker, Santiago is actively involved in regional and national Hispanic ministry. He is an excellent choice for workshops on music ministry and concerts. He has also participated at various events of the Archdiocese of Detroit as guest conductor, cantor and consultant. Santiago also participated in several concerts, catechetical sites and events during World Youth Day Panama 2019. 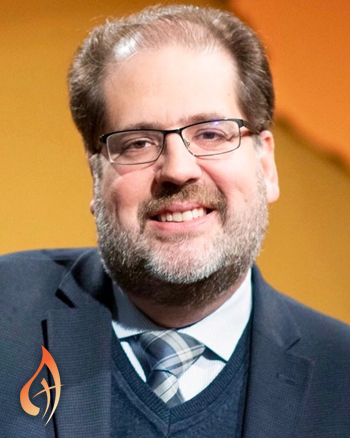 Currently Santiago serves at Holy Family Catholic Church in Novi, Michigan, where he directs both the English and Spanish choirs.